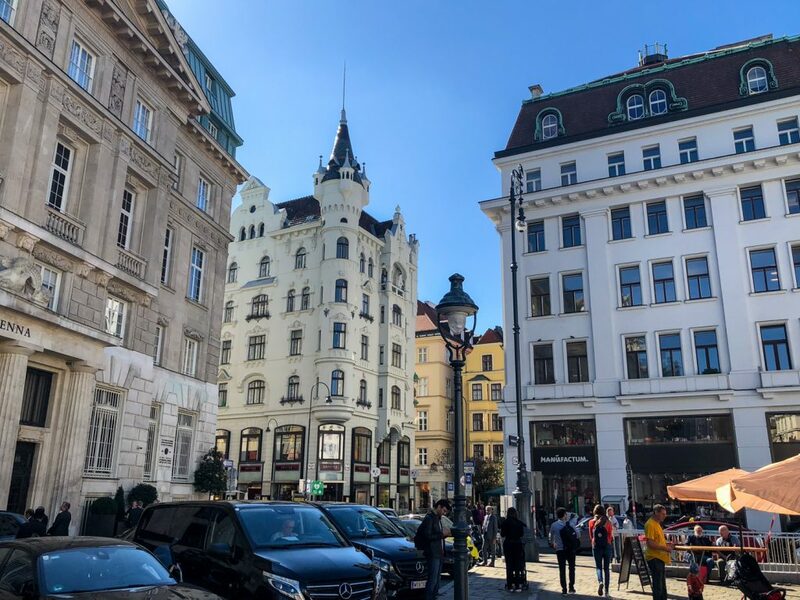 After spending four magical days in Prague, my boyfriend and I were off to our next destination — the beautiful city of Vienna. 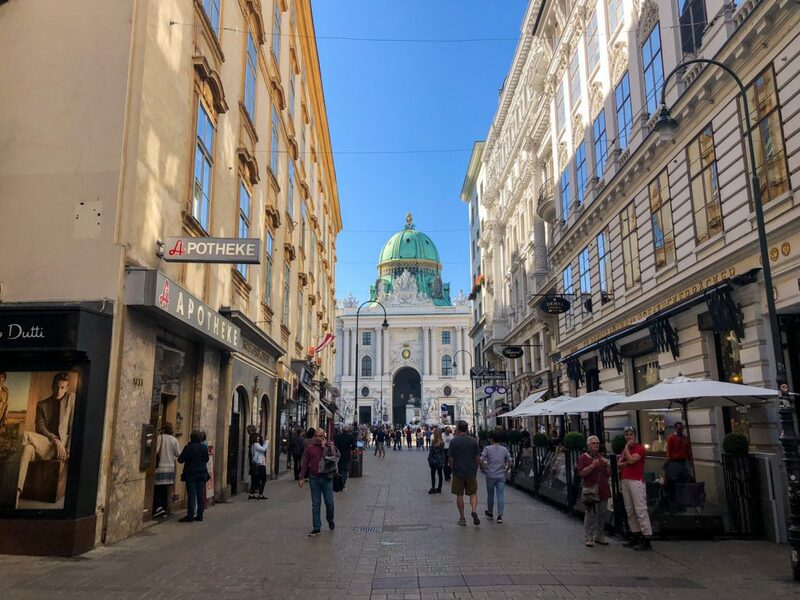 Our three-week journey around Europe was coming to an end so we decided to take it slow in Vienna to avoid travel burnout. 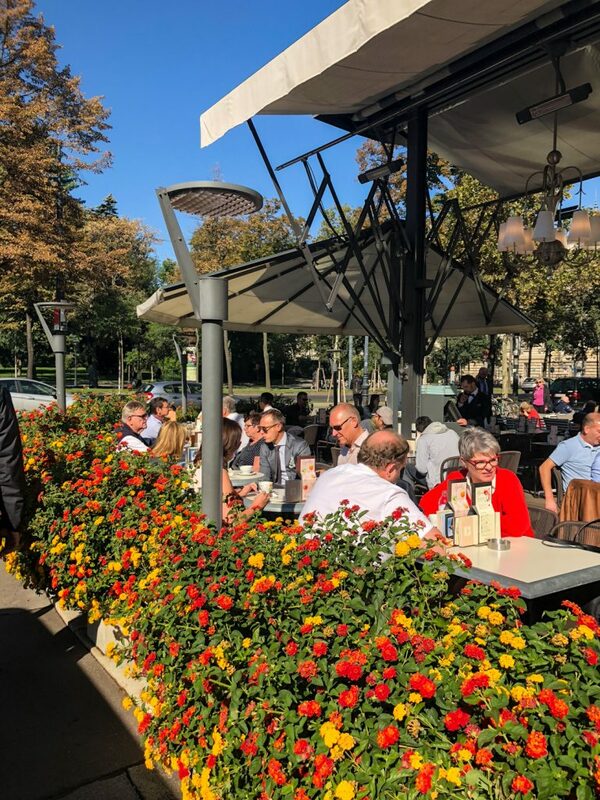 Vienna turned out to be an ideal city to relax and truly absorb the beauty of our surroundings with its parks, palaces, and outdoor cafes. We slept in, woke up to the sound of horse drawn carriages outside our Airbnb window, and sipped tea on the couch in our pajamas. After walking almost 10 miles daily, it was very enjoyable to say the least! 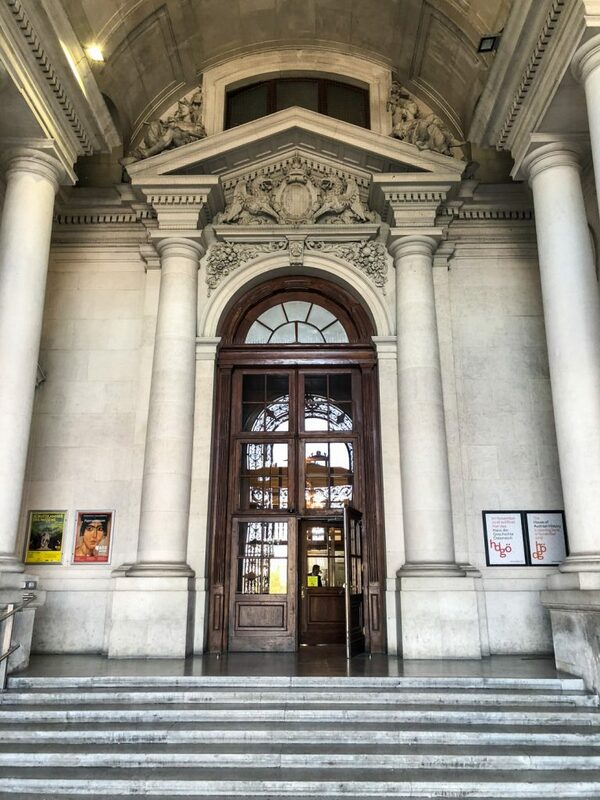 Instead of booking our train tickets from Prague to Vienna prior to our trip, we booked them in the Prague train station one day prior to departure. There was a counter for RegioJet and OBB trains, so at random, we chose RegioJet. Do not wait until the last minute! 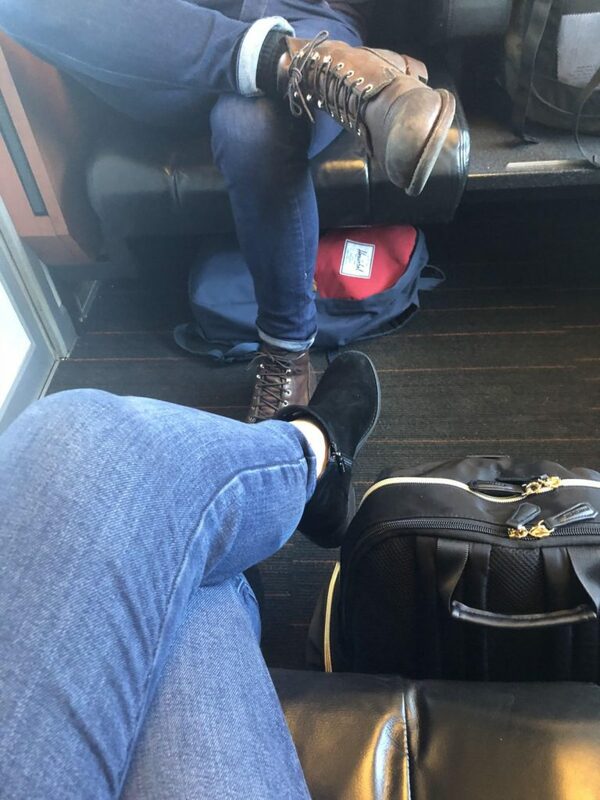 There were only two seats together available in business class, none in coach. Fortunately, the business class tickets were only $40 per person and we ended up really enjoying it. The business class cabins feature four seats each, a sliding glass door for privacy from the rest of the car, and extra amenities such as drink and snack service. It was extremely spacious, comfortable, and most of all, quiet! 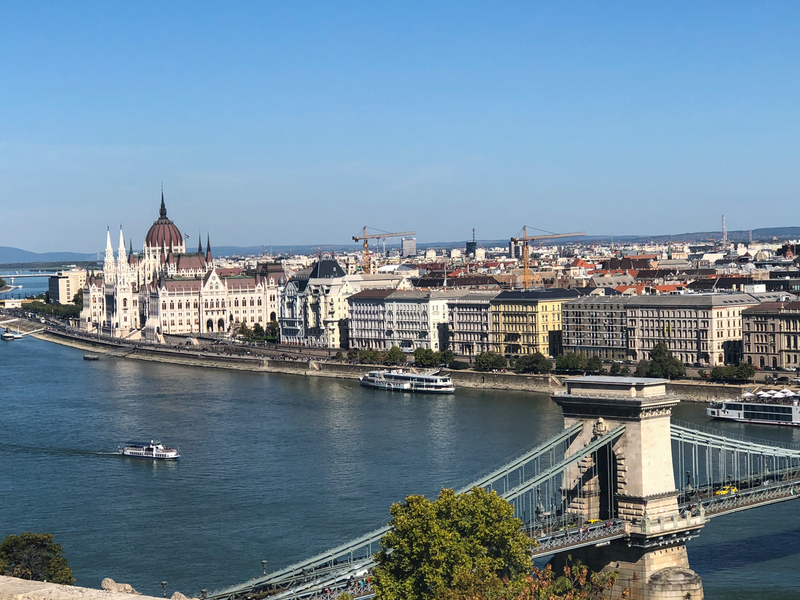 The alternative train you can book is the OBB train, which is what we took from Vienna to Budapest. 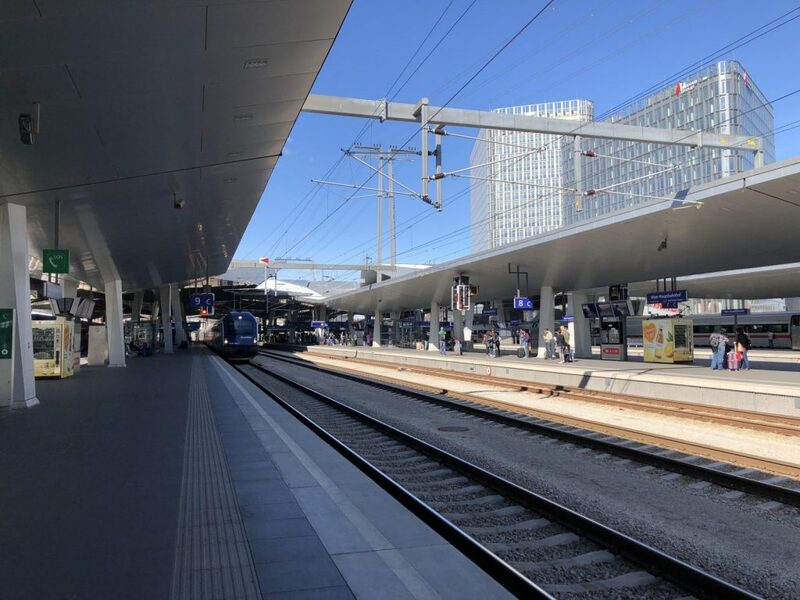 RegioJet is only available traveling to or from the Czech Republic, whereas OBB is an Austrian railway system available for travel to and from both Prague and Budapest. Once we arrived in Vienna, our Airbnb host recommended we take the underground subway. We found it to be fairly easy to navigate and quickly arrived at our stop at Stephensplatz. From there, we had a short walk to our Airbnb. The wheels of the Away Carry-On proved in Prague that they could handle the cobblestone, thank goodness! 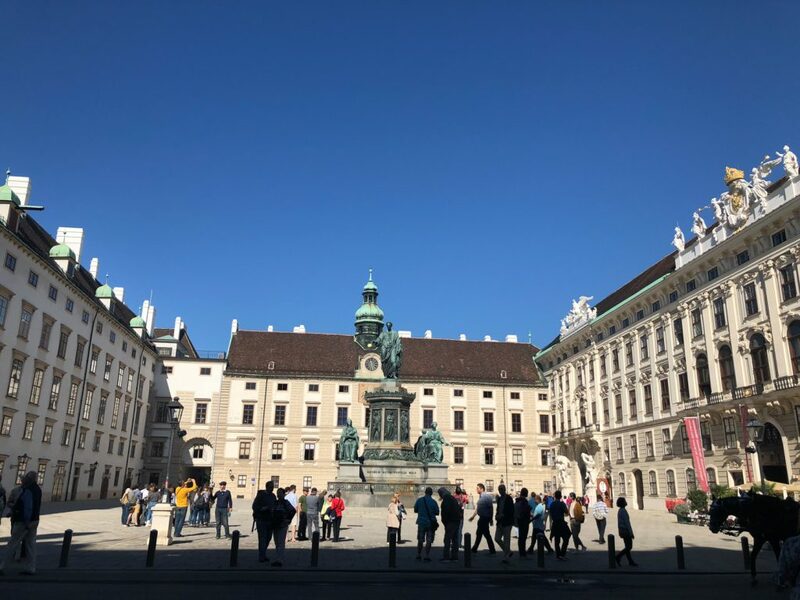 We immediately noticed how clean Vienna was…well, except for the occasional horse droppings from the horse drawn carriages around town. Please keep this in mind when wheeling your suitcase! 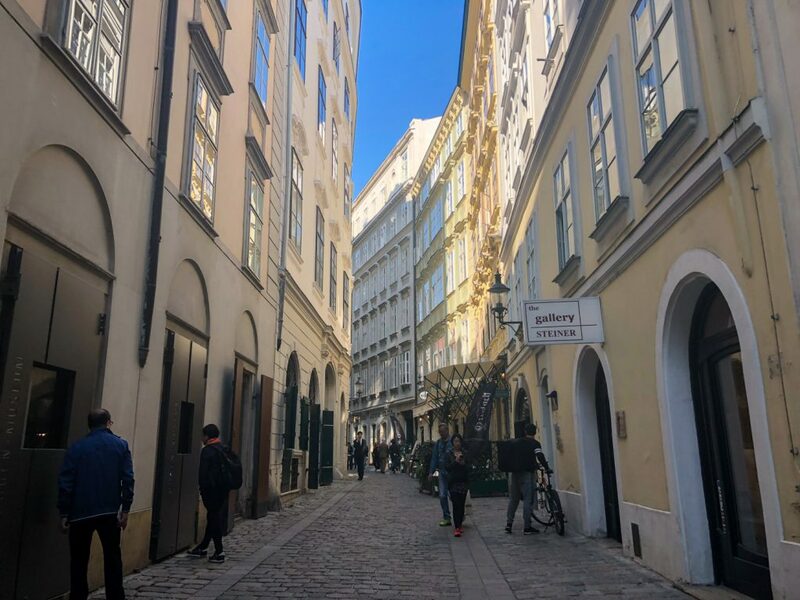 Innere Stadt, or First District, is very walkable. This is where you will likely spend most of your time, and is also the neighborhood I recommend staying in. If you are traveling outside of Innere Stadt, the subway is your best mode of transportation. We did not take a single taxi during our visit. The primary language in Vienna is German, but everyone we encountered spoke proficient English. Their currency is the Euro. Most shops close before 7pm. Many places are closed on Sunday around the city. Museums are often closed on Mondays or Tuesdays. The days or hours may also change by the season, so it’s important to check for your specific dates. 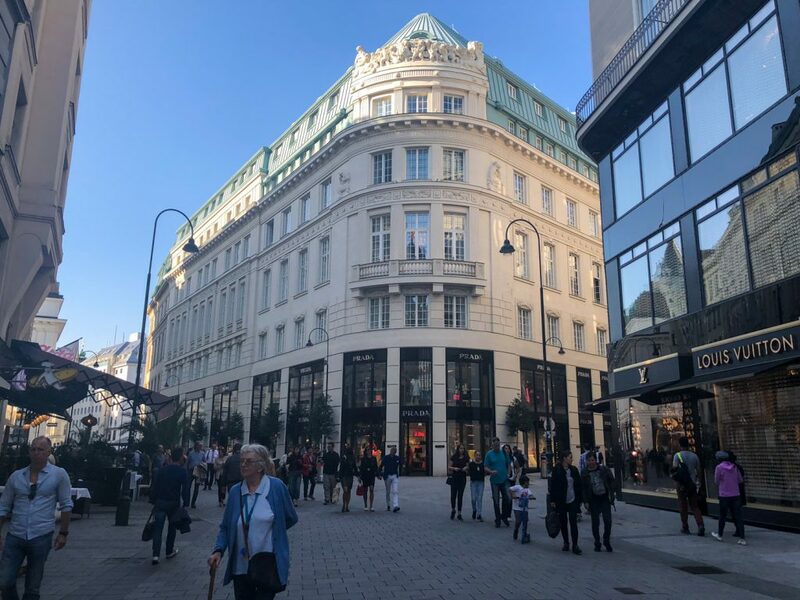 For more information, I found this Vienna tourism article to be helpful for opening and closing times. It’s a posh city offering a variety of luxury hotels and fine dining restaurants. Because of the sophisticated crowds, I recommend packing at least one head-to-toe polished outfit. 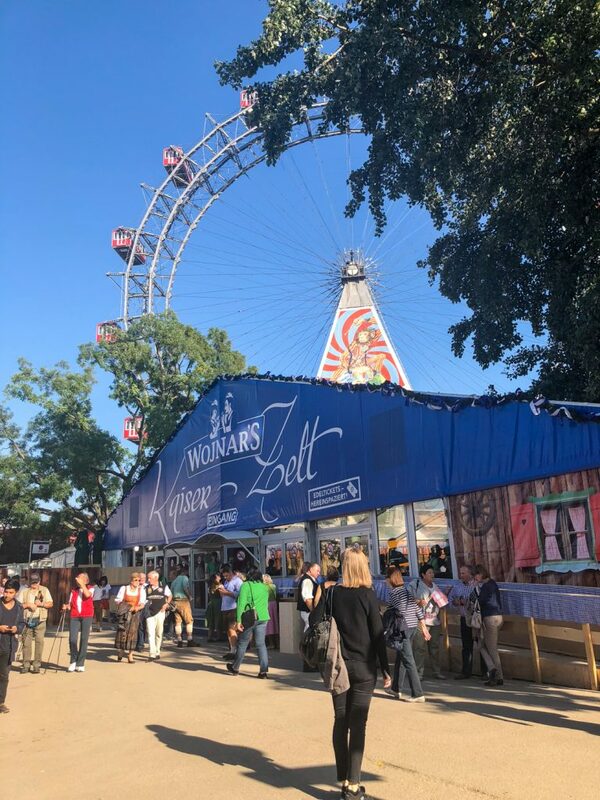 If you enjoy museums and historical attractions, check out the Vienna City Card, which also includes free, unlimited public transportation. The card is conveniently available in 24, 48, or 72 hours. 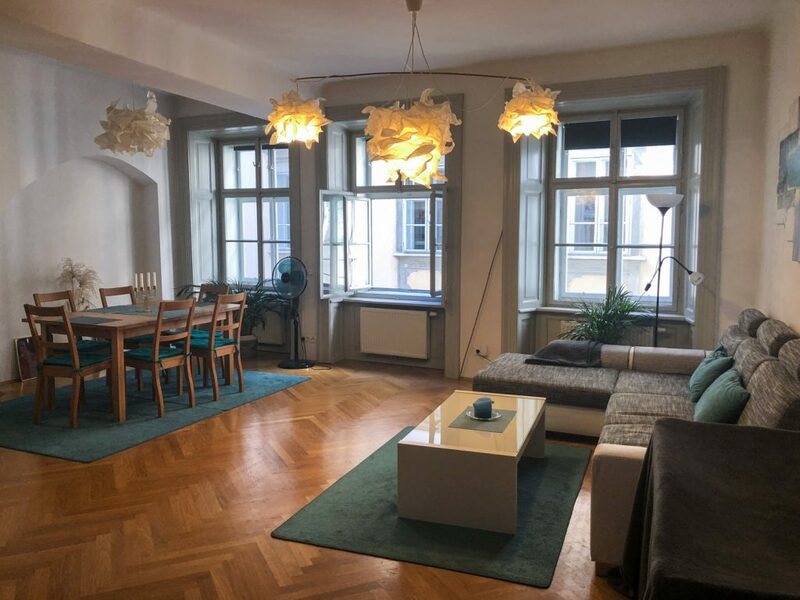 The Airbnb we booked in Vienna was one of my favorite rental apartments I’ve ever stayed in. The Superhost, Ujale, met us for check-in and showed us around his spacious apartment equipped with a washer/dryer in one (or drying racks if you prefer), a full kitchen with complimentary coffee and tea, a dining room table, and more. We quickly fell in love with the large windows facing out to the pedestrian-only street, which we left open for the fresh air when we were home. 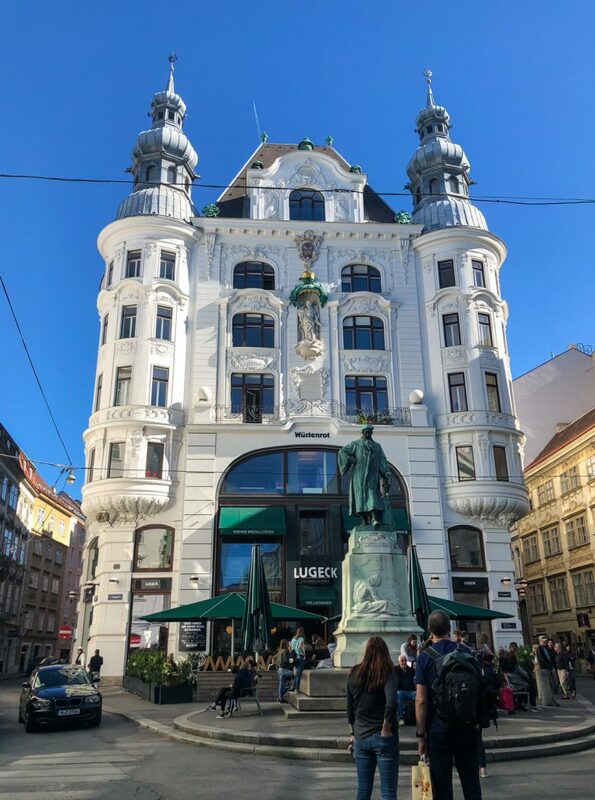 The location in central Innere Stadt was fantastic for the low price we paid, and an easy walk to everywhere we wanted to go. We also found it convenient that there were small, local bars and restaurants that lined this little street – perfect for a quick nightcap or a morning pastry before our next travel day. I planned to go to Cafe Central for breakfast, but there were about 30 people in line waiting outside (on a weekday)! We walked a few minutes further to Cafe Landtmann instead, and I’m so glad we did. 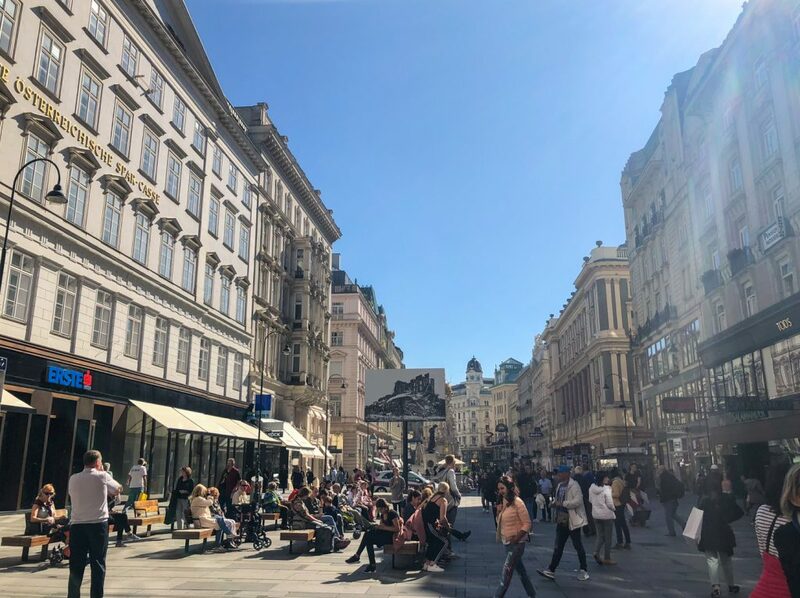 They had a lovely shaded terrace on the street corner with views of the Burgtheater, the Austrian National Theatre, and Rathausplatz. They had a very large menu featuring a variety of delicious Austrian classics. 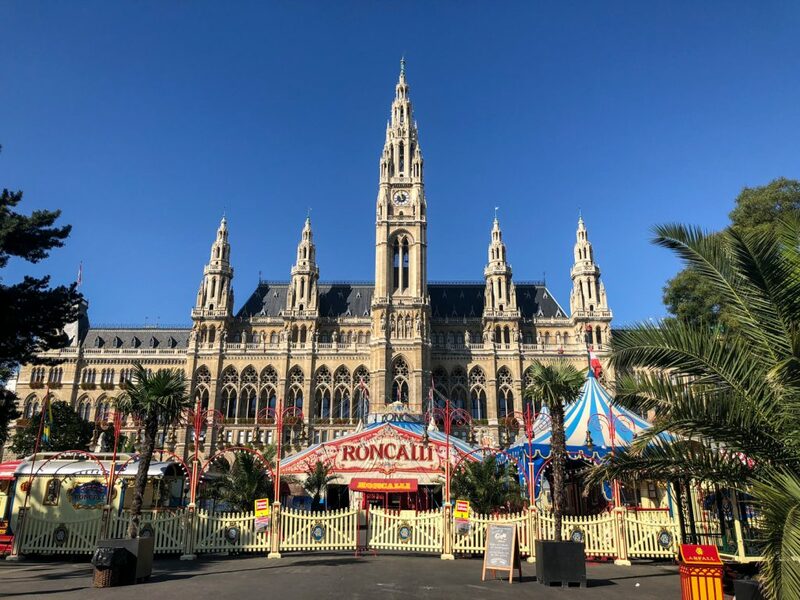 Rathausplatz is a 19th-century park filled with statues and fountains. 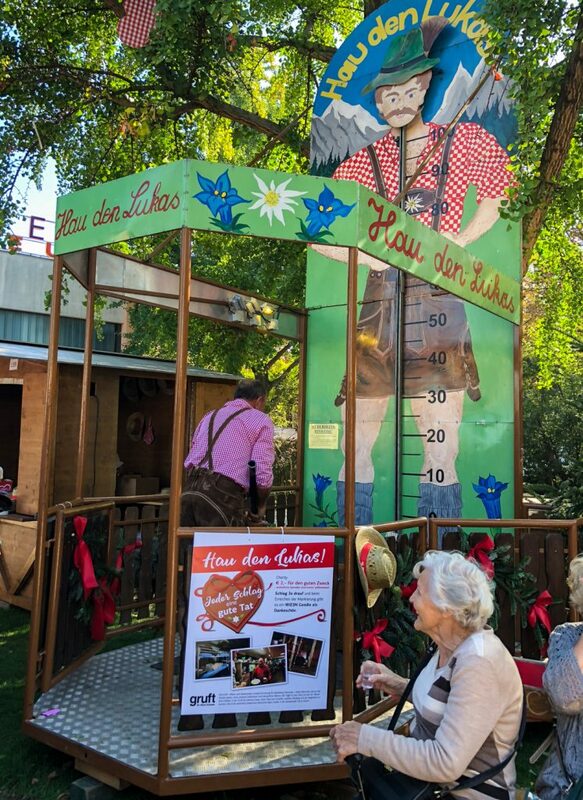 There are fun seasonal activities in this square such as an open-air cinema in the summer, Christmas markets in November and December, and an awesome ice rink from January to March. It’s a lovely place to walk around after a Viennese breakfast at Cafe Landtmann! 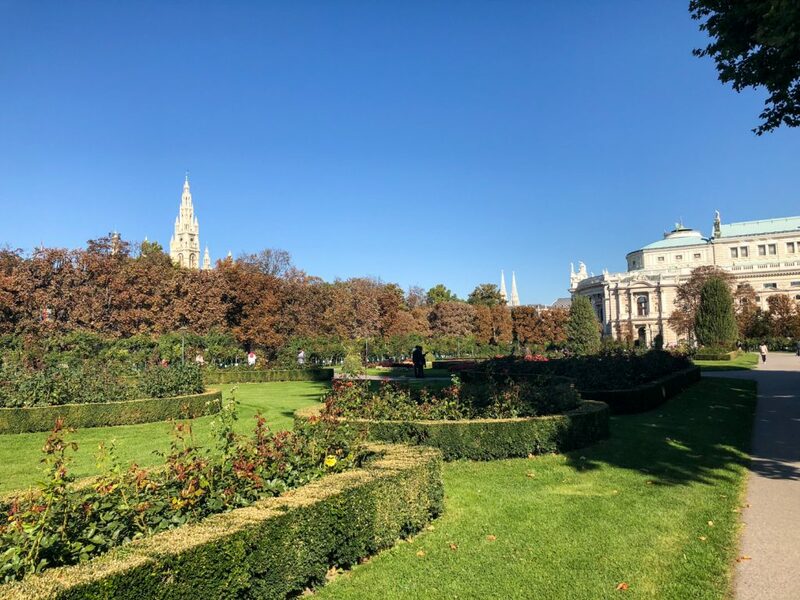 As you continue to walk past Burgtheater and along Rathausplatz, you’ll soon arrive at Volksgarten, which translates to the “people’s garden”. 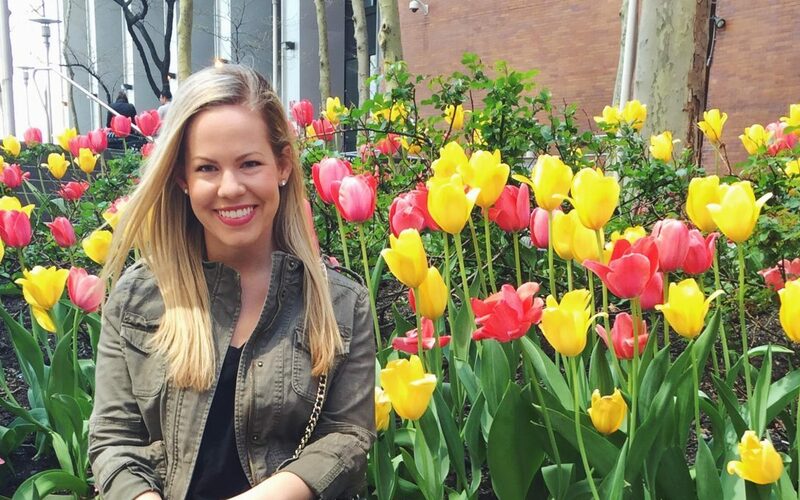 It was a beautiful setting with a rose garden, benches, tree-lined sidewalks, and important historical buildings in the background. 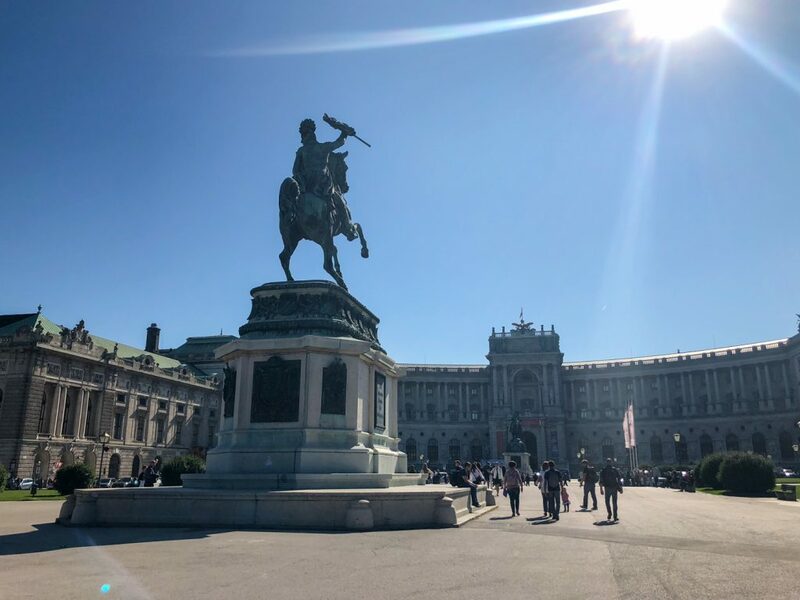 In front of the Hofburg Palace is Heldenplatz, which translates to Heroes’ Square. 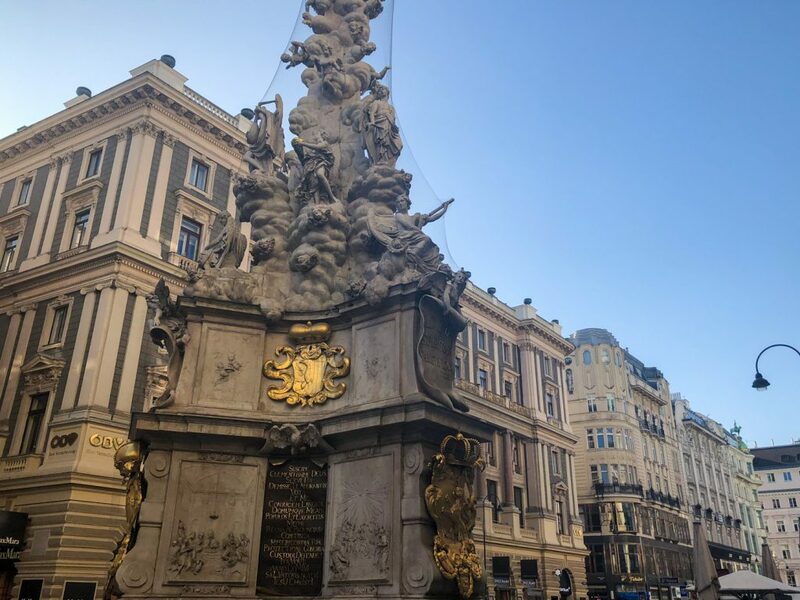 The square is named for two Austrian war heroes, Prince Eugène of Savoy and Archduke Charles, who are honored in the square with a monumental equestrian statue for each. 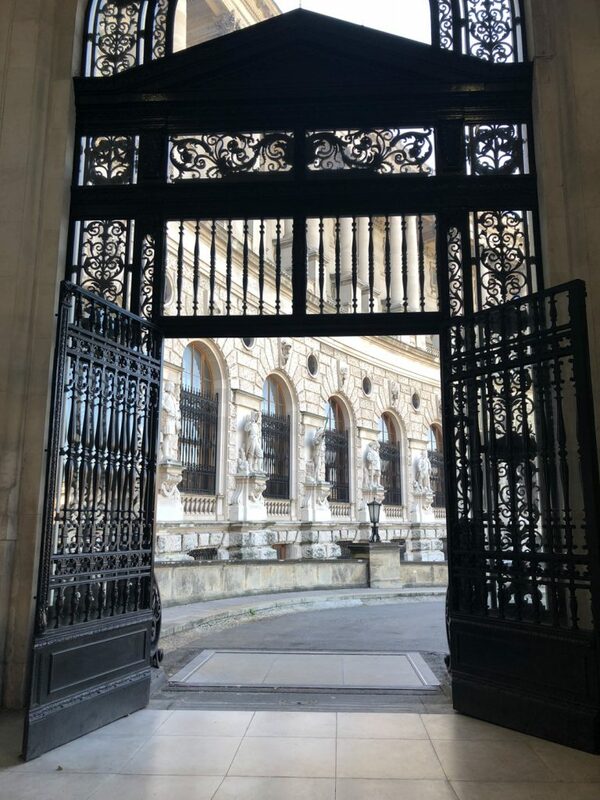 We did not buy tickets to go inside Hofburg Palace, but there is plenty to see from the outside walking around the massive and magnificent palace complex. 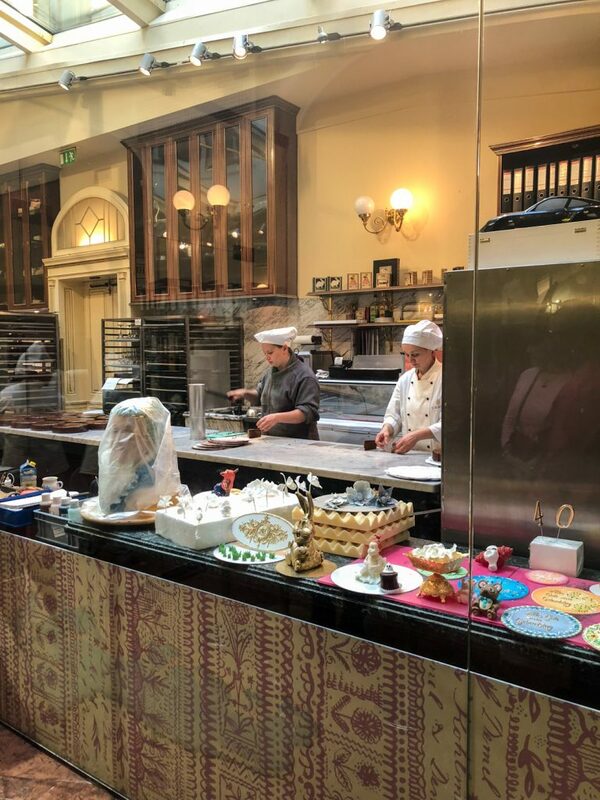 A short walk away from Hofburg Palace is Demel, an 1888 cafe famous for their traditional Viennese pastries and desserts. 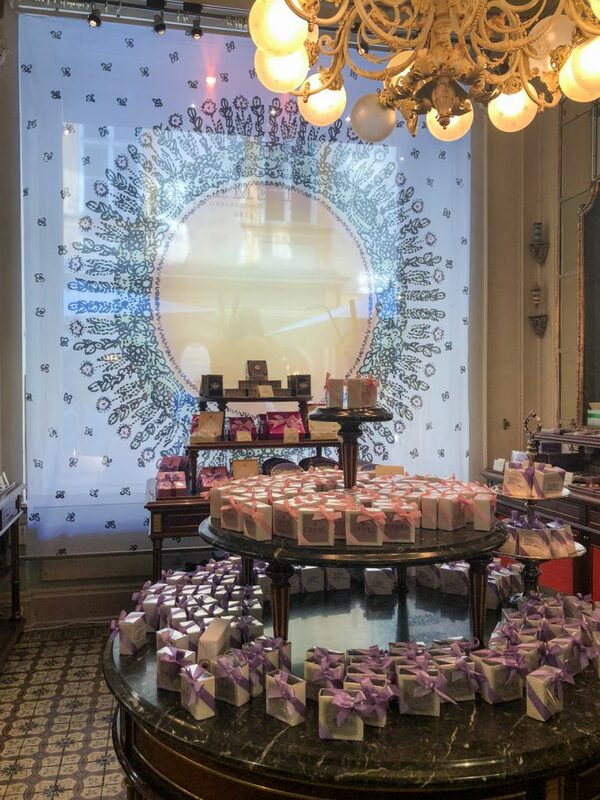 You can visit their shop filled with beautifully packaged chocolate boxes, watch their pastry chefs work their magic behind a glass window, pick out a tasty treat to-go from their pastry counter, or dine in. 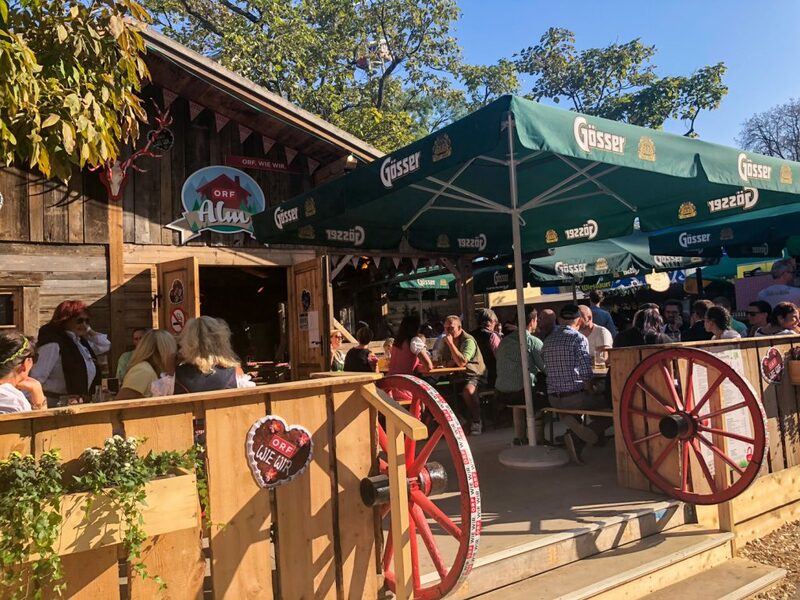 There is both indoor and outdoor seating available, and plenty of it, but don’t be surprised if they’re full — it’s a very popular place! 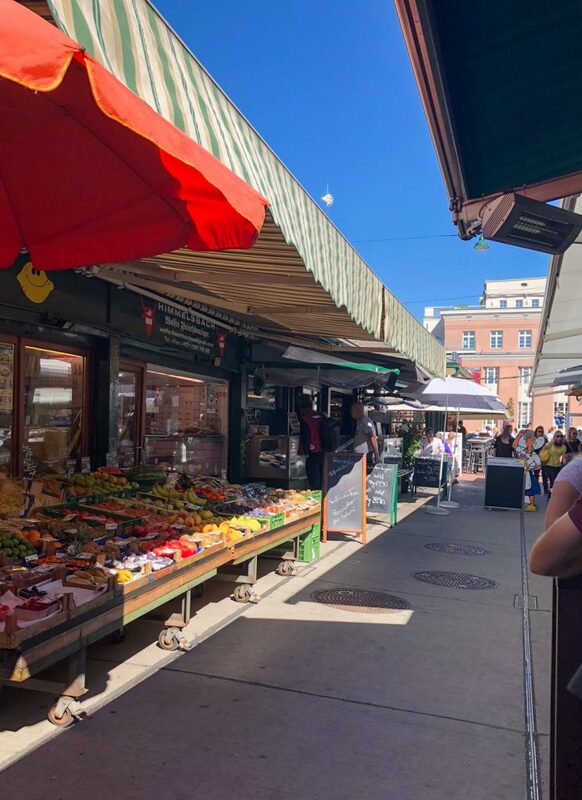 Whether or not you grabbed a bite to eat at Demel, I still recommend visiting Vienna’s open-air market called Naschmarkt. Although it can become very crowded at peak lunch and dinner hours, there is something for everyone with plenty of options to choose from. The market is made up of two aisles. One aisle is lined with restaurants and the other is lined with produce, seafood and wine shops. The hosts or hostesses at the restaurants will all try to get you to come in, which unfortunately made it feel touristy to me. 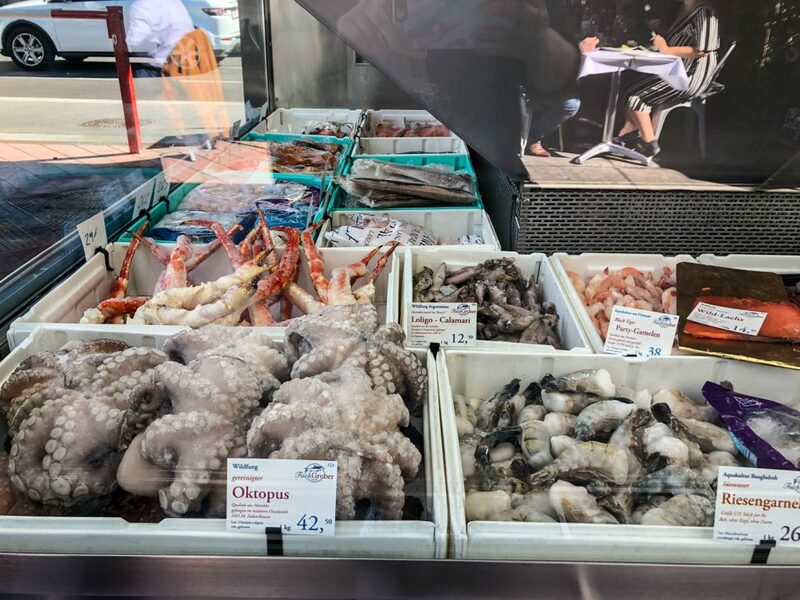 Then we went to the other side of the market and realized what incredible local products were available, some offering dine-in as well. We dined al fresco at Rafael’s Vinothek, where we enjoyed the most incredible Sturm. 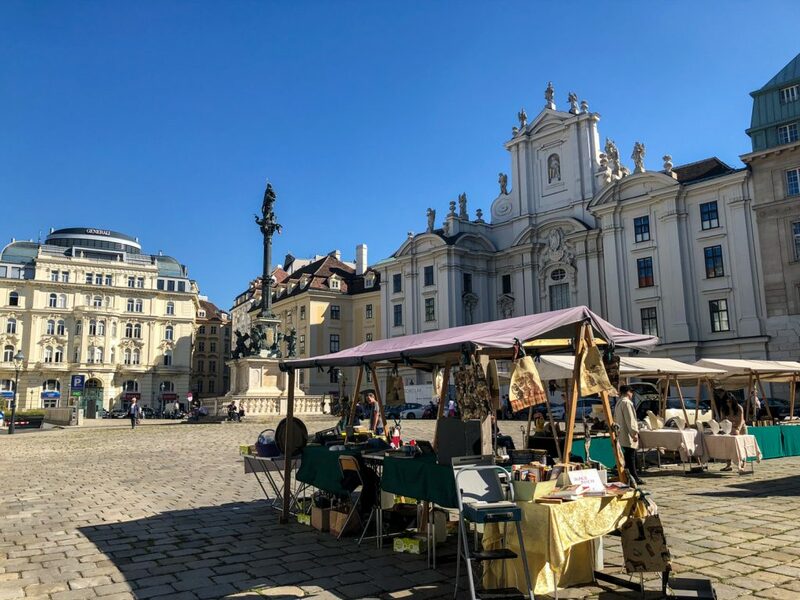 It is only in season in Austria for a limited time in the fall, and was a tasty local specialty to enjoy in the market. 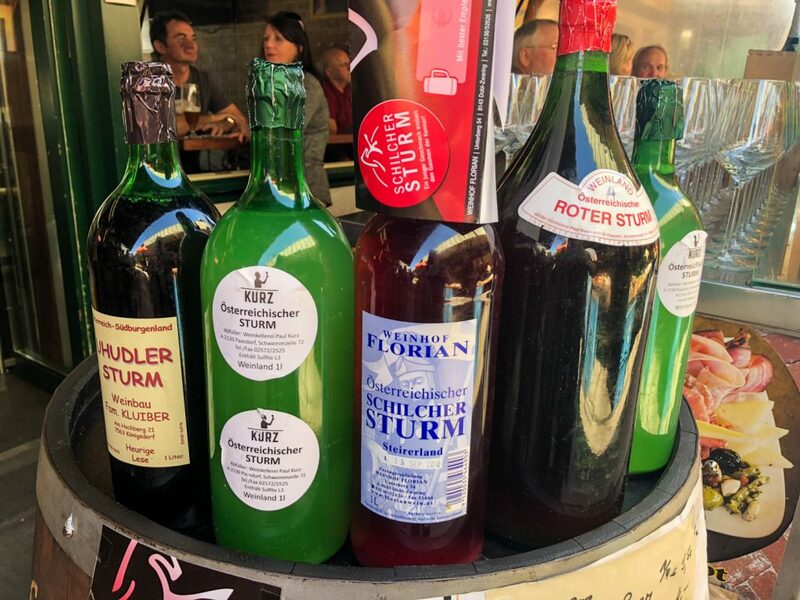 Sturm is unfiltered grape juice that is slightly fermented from the first grape harvest of the season. Imagine what your favorite wine would taste like with a very low/hardly noticeable percentage of alcohol… it’s so delicious! Naschmarkt is open every day except Sunday, and closes early at 5pm on Saturday. On Saturdays only, there is also a flea market on-site. For museum lovers, history afficiandos, or even when faced with poor weather conditions, the MuseumsQuartier is the perfect area for you! One street features the city’s largest and most popular museums, making for an easy hop (especially with the City Card)! 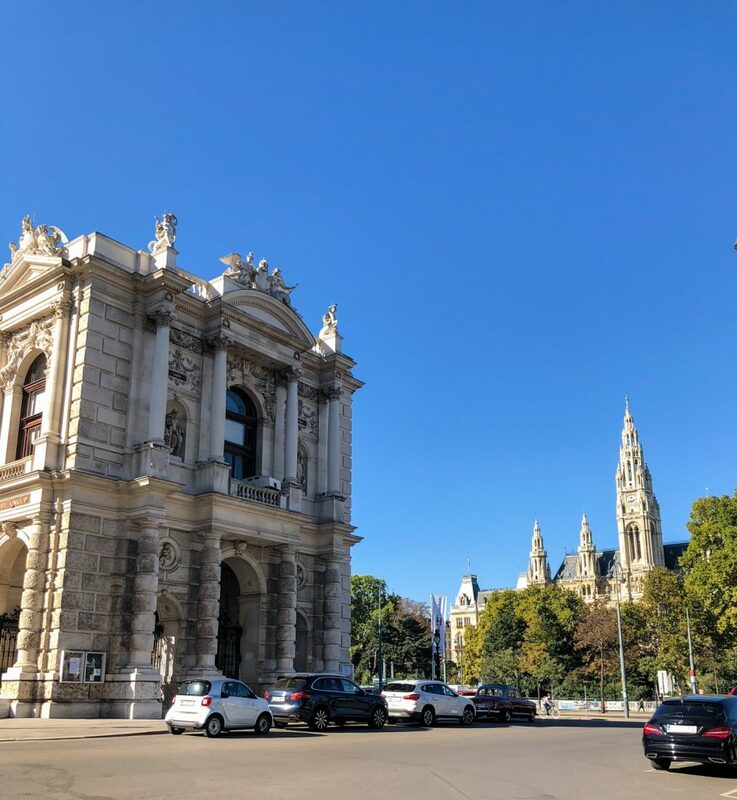 An alternative activity is taking the subway from the MuseumsQuartier station to Schonbrunn Palace, or taking a cab to Belvedere Palace. For meat eaters, I would consider it a requirement to order schnitzel when in Vienna. 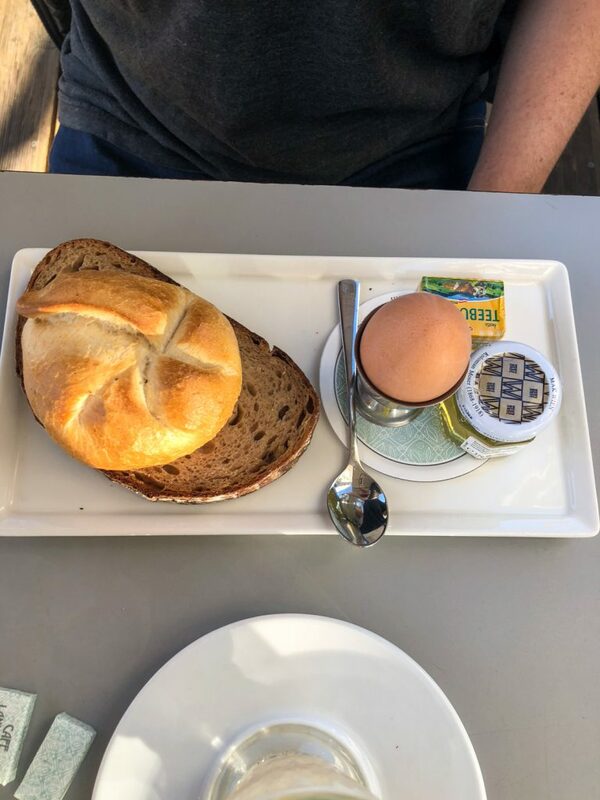 While it’s available at most restaurants in the city, no one serves it quite like Figlmuller. 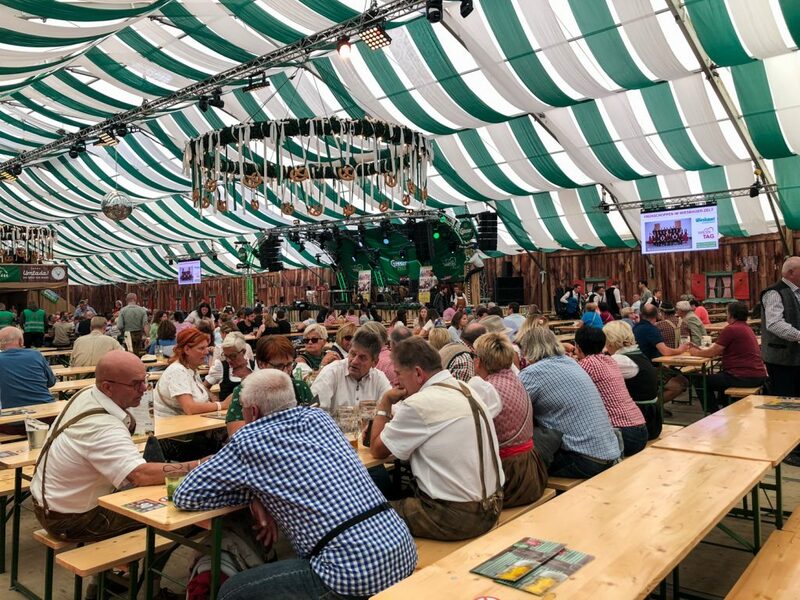 In fact, they even call themselves “the home of the Schnitzel” since they have been serving it at their restaurants for over 100 years! As a result, you can expect to wait for a table here at any of their locations. I recommend going early! Fortunately, three of their restaurants are very close to each other including Lugeck, Bäckerstraße, and Wollzeile. 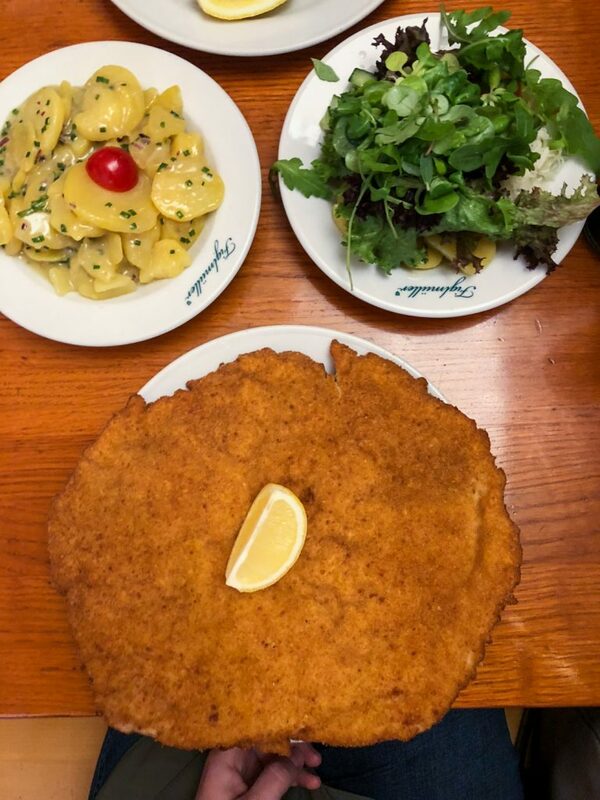 We split the Figlmuller Schnitzel with potato salad and a green salad, and both agreed that not only was the Schnitzel delicious, but the potato salad was the best we’ve ever had. The portion of one Figlmuller Schnitzel was comically enormous that we had enough leftovers for two people! In the warmer months, Motto am Fluss is wonderful to sit outside with a drink and enjoy the sunset over the river. If I lived in Vienna, I know this is a place I would come to often for its atmosphere, for any occasion. 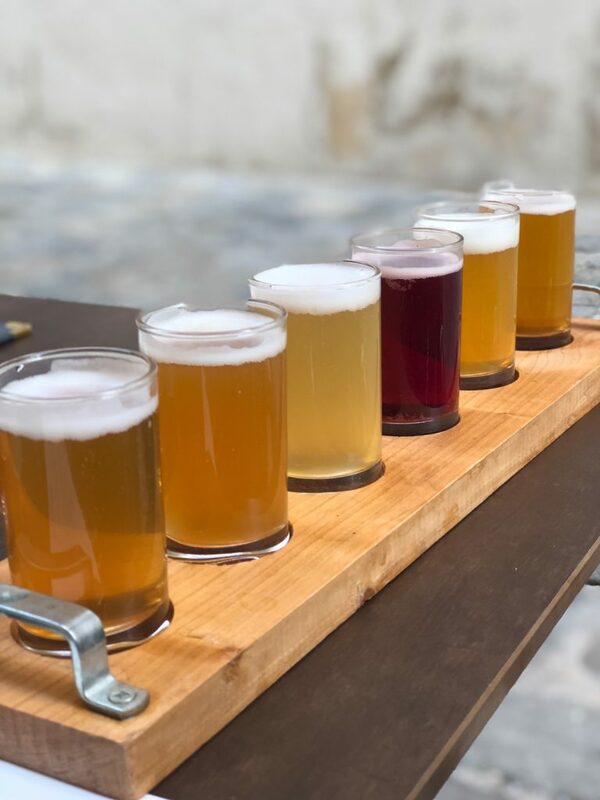 A short walk away from our Airbnb was this modern craft beer bar serving “create your own” beer flights, burgers, cheese and charcuterie boards, and more classic pub fare. They had a large menu of craft beers to choose from, many of which were local. 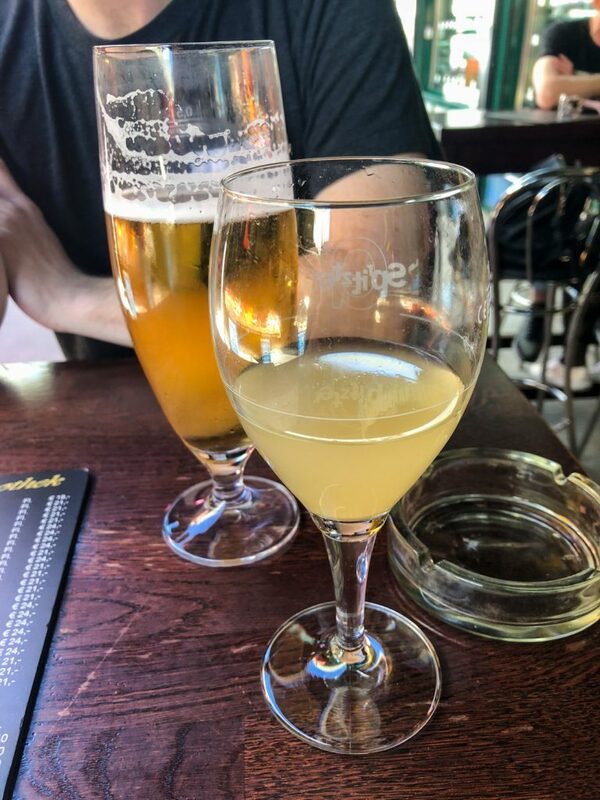 We enjoyed trying a variety of new beers! If You Don’t Drink…Go Shopping! Babette’s is a charming shop selling spices and books for cooks. They even have a little cafe hidden in the back too, and host cooking classes. We found the Figlmuller cookbook (THAT POTATO SALAD RECIPE!) and a variety of other amazing Austrian cookbooks – some even available in English. It was so much fun to walk around and flip through the cookbooks. It would be a great spot for gifts too! Down the street from Babette’s is Herzilein Papeterie, a modern stationary shop selling a curated variety of paper and leather goods, packaging, greeting cards and gifts. I absolutely love collecting stationary at local boutiques like this one. 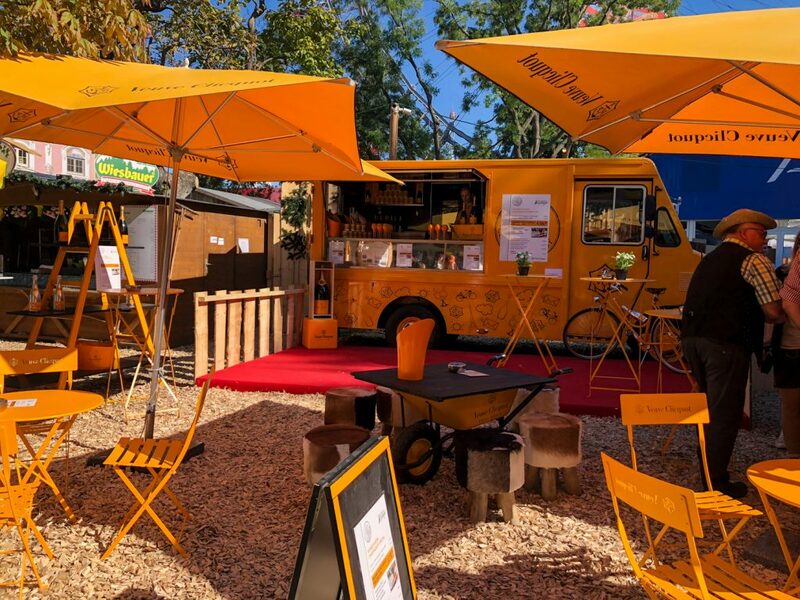 Museums – In addition to all the museums at Museums Quartier, Museum Hundertwasser & Hundertwasser House are a bit more quirky and Instagram-friendly. Classic cafe-restaurant with an illustrious clientele from Freud to McCartney, plus shaded terrace. 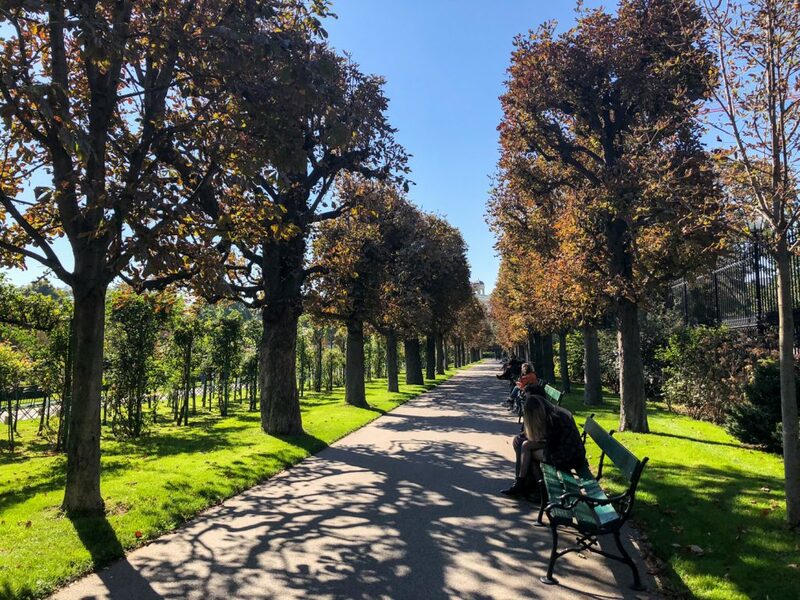 A public park in the Innere Stadt first district of Vienna. The garden, which is part of the Hofburg Palace, was laid out by Ludwig Remy in 1821. The park was built over the city fortifications that were destroyed by Napoleon in 1809. The Volksgarten was opened to the public in 1823. 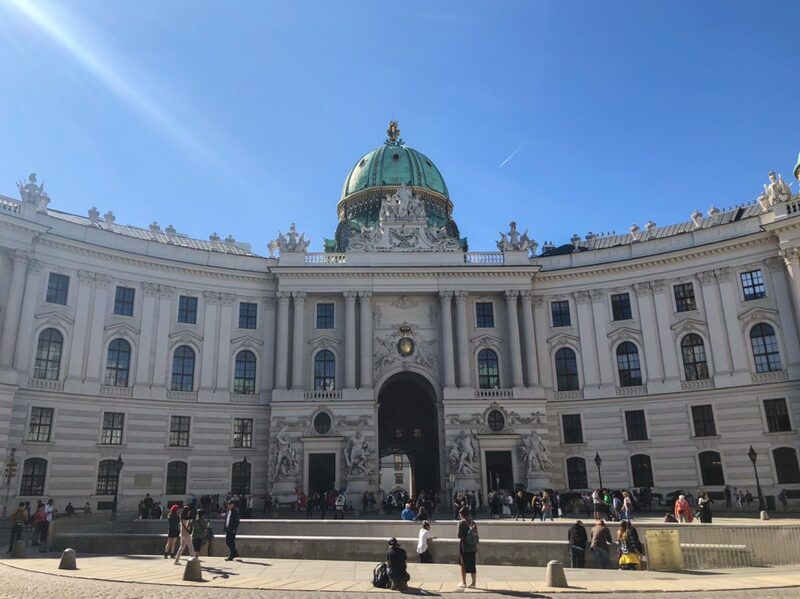 The former principal imperial palace of the Habsburg dynasty rulers and today serves as the official residence and workplace of the President of Austria. 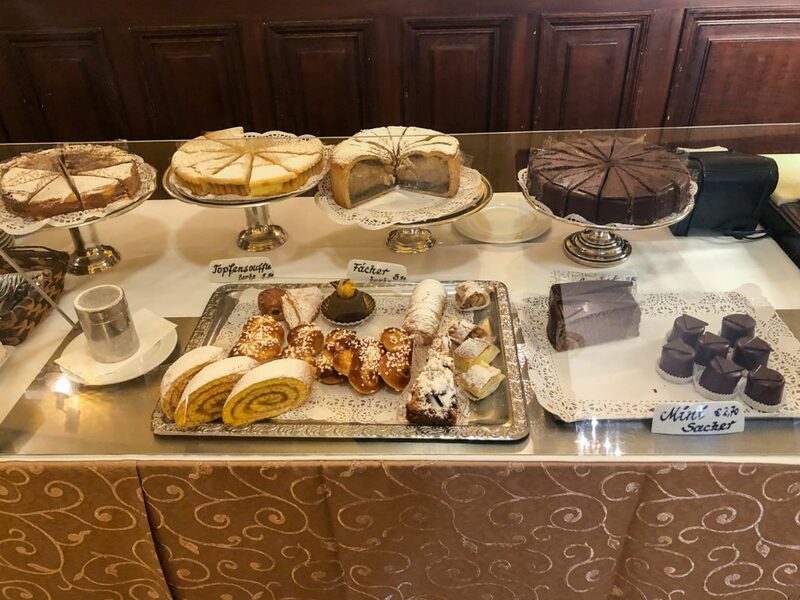 Graceful 1888 salon serving specialties such as cream cakes, scones & strudels, with shady terrace. Vast market with 16th-century origins, with more than 100 food & vintage stalls, plus restaurants. Dining rooms with wood paneling, exposed bricks & wrought iron, serving classic Viennese cuisine. 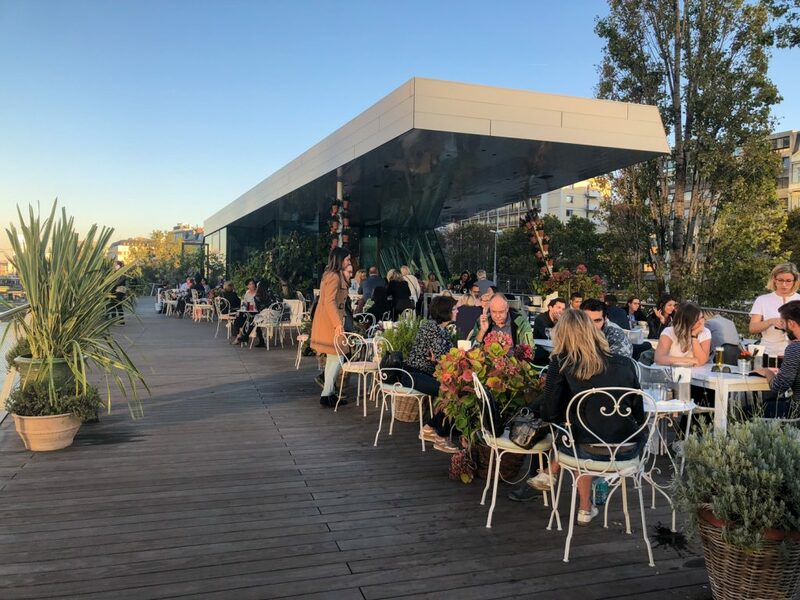 Stylish, all-day venue for local & global cuisine in an iconic boat-like building, with canal views. Serving an extensive range of Austrian and international craft beers and a simple menu.